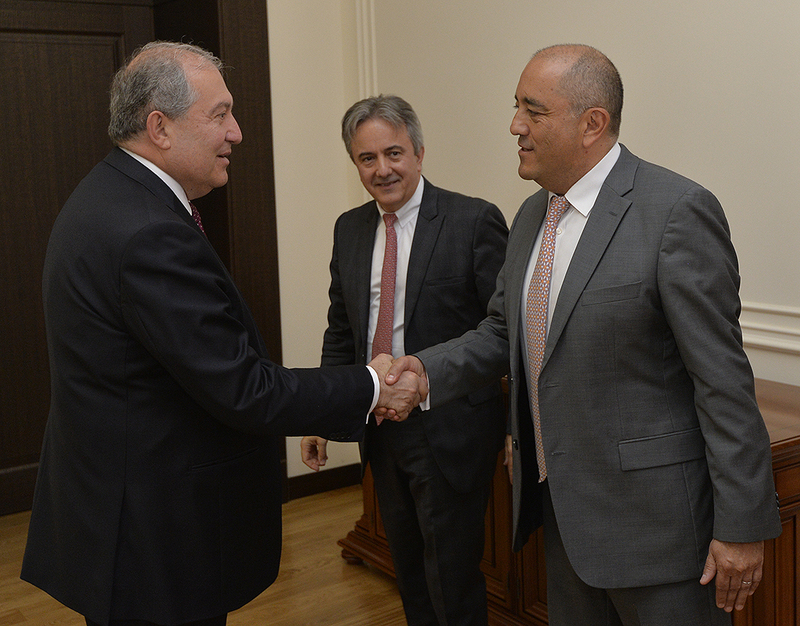 President Armen Sarkissian received today delegation headed by the EBRD Managing Director for Eastern Europe and the Caucasus Francis Malige. Welcoming the guests, the President of Armenia hailed Armenia’s long-standing efficient cooperation with the European Bank for Reconstruction and Development. Reiterating the commitment to continue cooperation, the President of Armenia stressed the importance of the state-private sector in a number of priority areas, incessant implementation of the programs aimed at the development of small and medium enterprises. 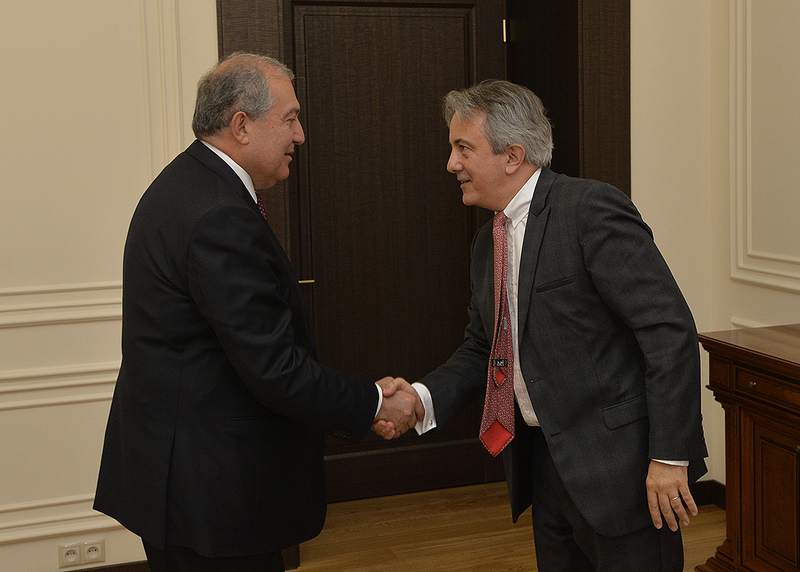 President Sarkissian suggested to look into the opportunities to expand cooperation in the areas of information technologies, energy, agriculture, and tourism considering the exiting potential in the mentioned areas. 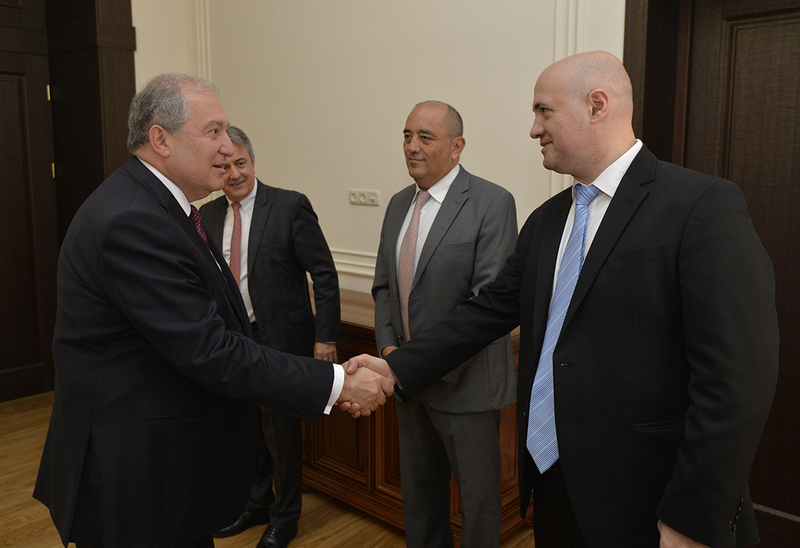 Francis Malige underscored that the EBRD is interested in deepening cooperation with Armenia and is ready to assist the Government of Armenia in its steps aimed at a continuous improvement of the business climate as well as in other initiatives for Armenia’s economic development. At the meeting, discussed were issues related to the upcoming Armenia-EBRD cooperation programs, opportunities for the implementation of regional programs. It was noted that the Comprehensive and Enhanced Partnership Agreement signed between Armenia and EU offers new opportunities for cooperation.